You can get overwhelmed with muscle car tires while searching on the internet. It's proven that OE-style and originality increase value at the auction block. 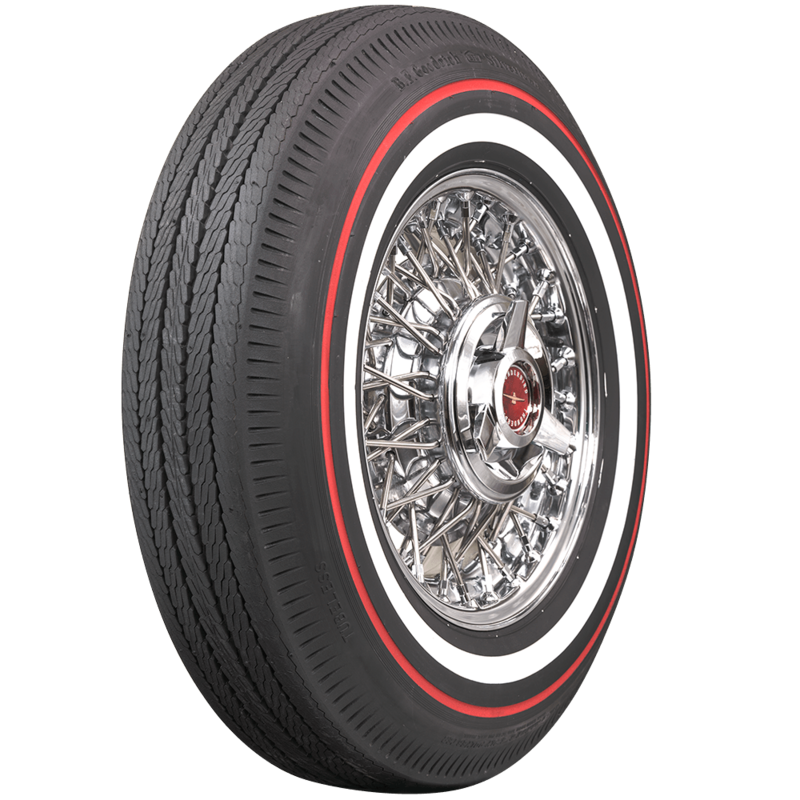 With that in mind, these BF Goodrich Bias Ply Redline tires are an outstanding choice for restored or surviving classics. 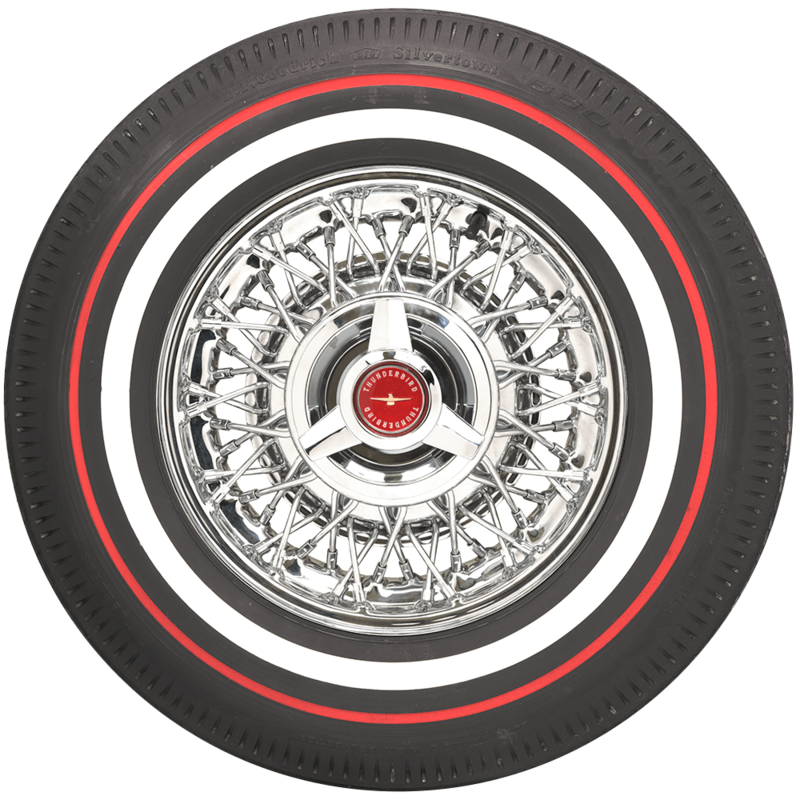 Available in select popular sizes with incredible detail and quality, these BF Goodrich red line tires for classic cars feature authentic tread patterns and sidewall designs and are hand-crafted in the USA. 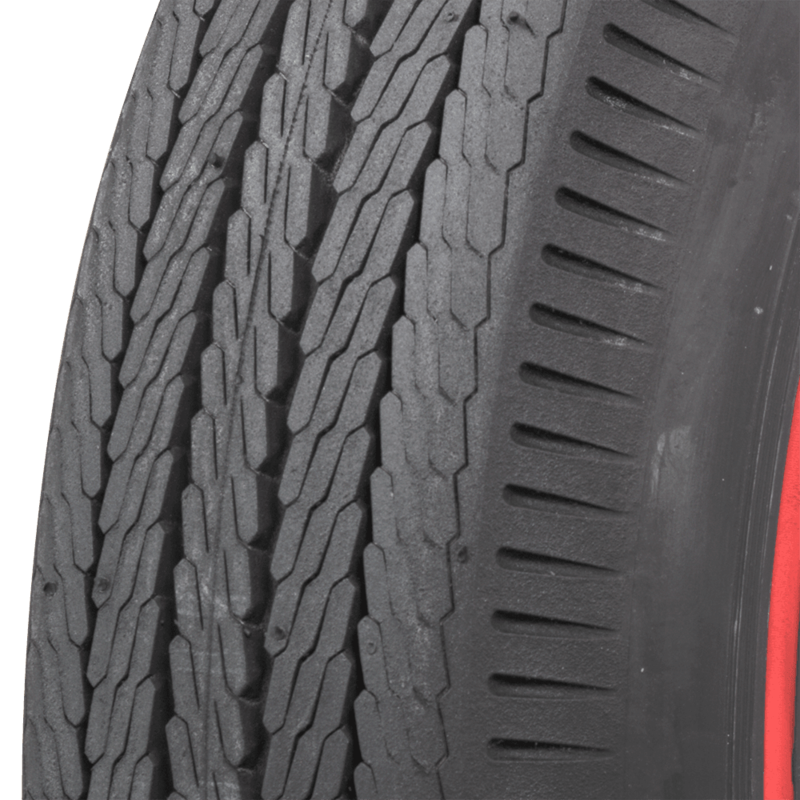 We recommend following the vehicle's tire pressure recommendation first and foremost. If that information is not listed in the owner manual, between 32-35 PSI is typical. Less for softer ride, more for sharper response. 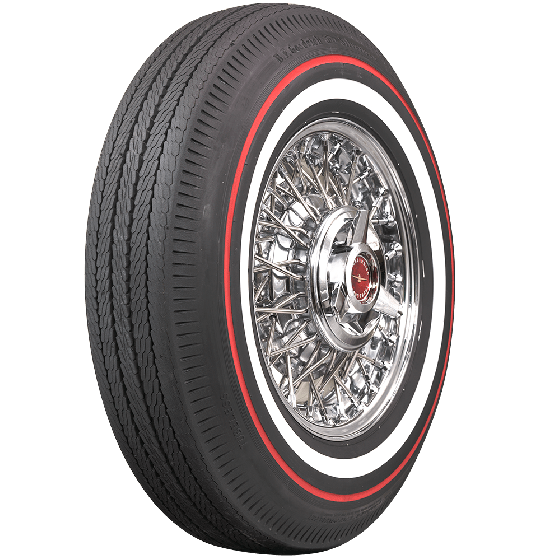 are these bf goodrich 8.15x15 1 in ww 3/8 red line tube less tires? 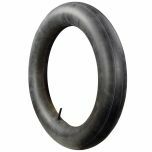 Yes, these are tubeless tires but can be run with tubes should your rim require it.